NOW BECOME OBSOLETE, REPLACED BY GIMPAD 1.1. Thank's JiriH for mirror at Rapidshare! 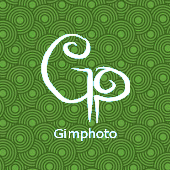 for dial-up user, Gimphoto 1.4 setup also avaiable as 6 part with smaller file size. Gimphoto 1.0 package is split to 6 different files because my Internet connection is bad and i limited to 1Gb / month, so to reduce risk of broken connection i split this setup file to 6 parts. I hope this also can help those with dial-up connection. I'm sorry about this inconvenience, but later i will try to update this download area with more mirrors. This time Gimphoto only available as Windows package because i only able to create Windows installer, for Linux i need help from someone that can create Linux installer. If you want to help me, email me at ekkians at gmail dot com, i will send the instructions to create Gimphoto package. This package is for Windows 2000 and Windows XP only, for Windows 98 the installer is running well, but GIMP can't run because generate error about COMDLG32.DLL:PrintExW. 1. Download all 7 files. 2. Put all 7 files on the same folder. With help from my good friend, Mr.Tejo, at last we got Gimphoto as single setup package.